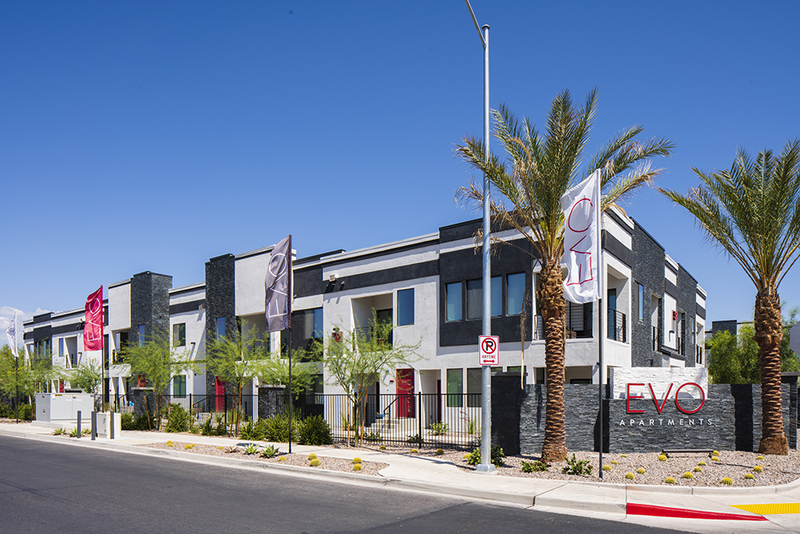 EVO Apartments, located in southwest Las Vegas offers one, two and three bedroom apartment units in both loft and townhome stylings. Units also have access to private one or two car garages. 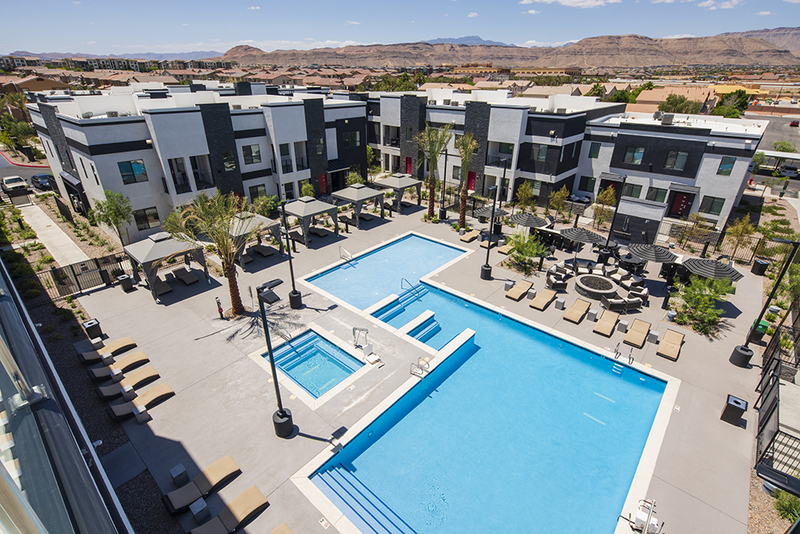 R&O Construction oversaw construction of an impressive selection of resort-style amenities and facilities designed to impress residents. 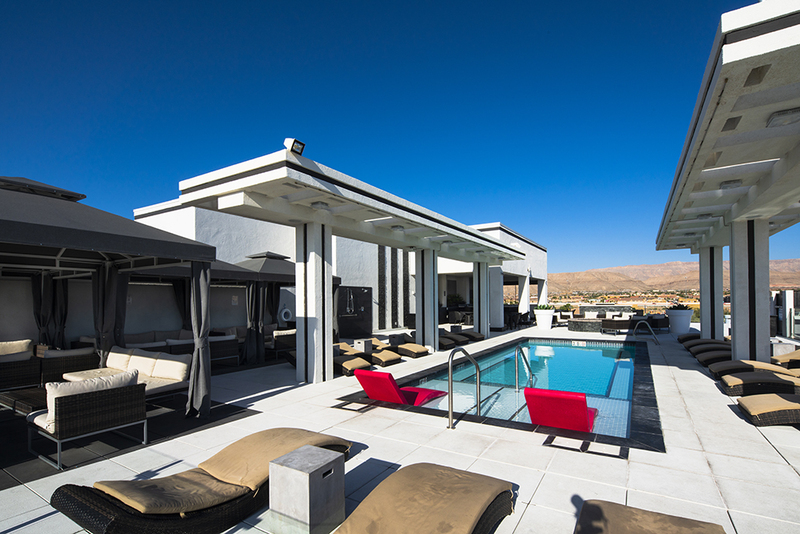 These amenities include three pools, one of which was rooftop construction, an infinity-edge Jacuzzi overlooking the Las Vegas Strip, spa, basketball courts and fitness center. Construction focused on comfort and quality for all residents. 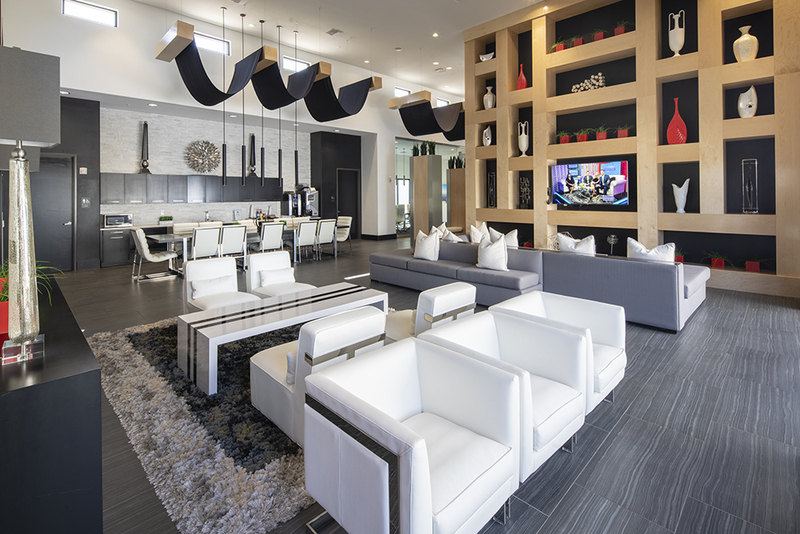 Each EVO Apartment offers double thickness walls and sound-insulated flooring. The oversized master suites hold walk-in closets, glass-enclosed showers. 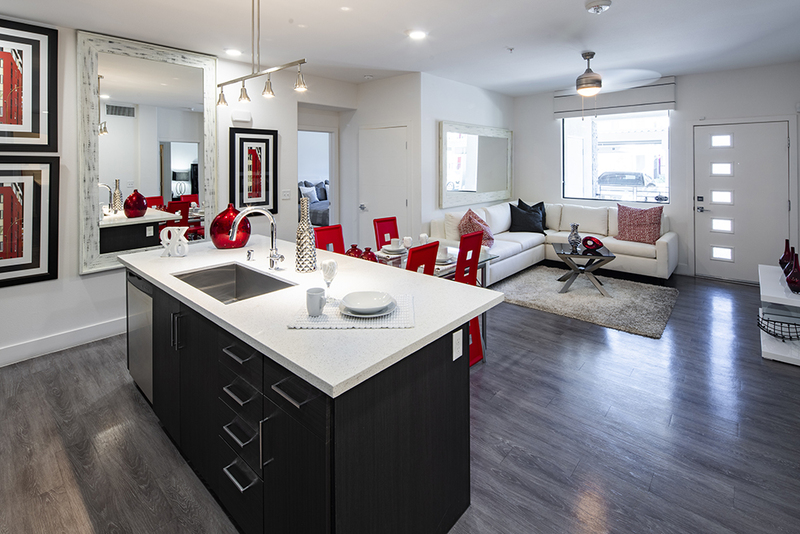 As a final touch of elegance, a series of luxury finishes includequartz countertops, pendant lighting, stainless appliances and wood-style flooring.